Add a splash of color with these delicate yet striking fine silver earrings. 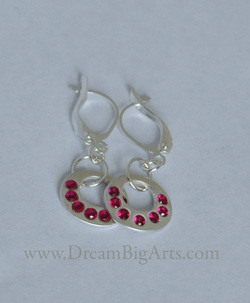 Dangling circles set with seven 2mm lab rubies each add just the right amount of sparkle to your daytime or evening!! Handmade, original design.